The details of the deal signed between Ministry of Defence Production, Pakistan and STM of Turkey about the construction of a tanker for Pakistani Navy. 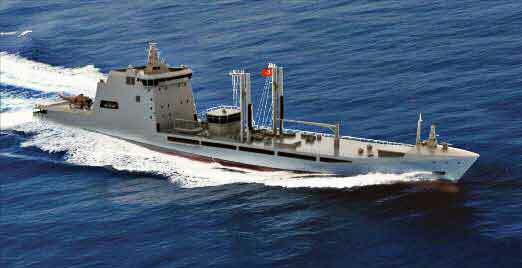 The tanker will be 155m long with a 15.600 tons of displacement. The double hulled tanker will be able to make 20 knots and supply three ships simultaneously while the helicopter she carries performs vertical replenishment. The value of the contract is around 80 million US Dollars. The estimated time for the first steel cut is in summer 2013. The construction of the tanker will take 48 months. STM as the main contractor will be responsible from the whole project while the construction will be done in Karachi Shipyard and Engineering Works Ltd in Pakistan. impossible,80 million only.is it operative cost>?